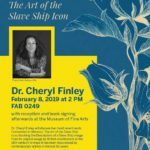 The Department of Art and Museum of Fine Arts at Florida State University are proud to present lecturer Dr. Cheryl Finley, an Associate Professor of Art History at Cornell University. She holds a Ph.D. in African American Studies and History of Art from Yale University. 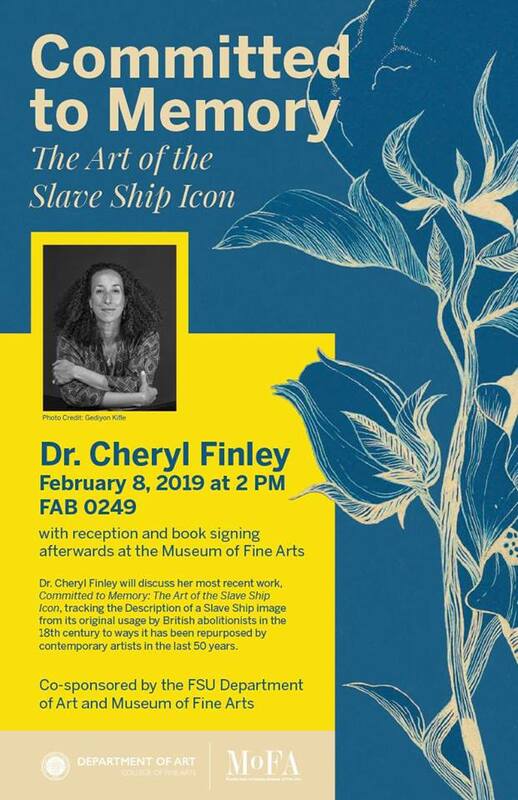 With nearly 20 years of award winning research on historic and contemporary images of the transatlantic slave trade, Dr. Finley will discuss her seminal study, Committed to Memory: the Art of the Slave Ship Icon, which is now available from Princeton University. This monograph is the first in depth study of the most famous image associated with the memory of slavery, a schematic engraving of a packed slave ship hold, and the art, architecture, poetry and film it has inspired since its creation in Britain in 1788. Another of Dr. Finley’s works also published this year,My Soul Has Grown Deep: Black Art from the American South (Yale University Press, 2018), accompanies the exhibition History Refused to Die: Highlights from the Souls Grown Deep Foundation at the Metropolitan Museum of Art in New York through September 23, 2018. Dr. Finley lectures at 2pm in FAB 249 on February 8th, followed by a book signing at the FSU Museum of Fine Arts.